Eating spinach, kale and other dark leafy greens are solid sources of magnesium and vitamin B6. These nutrients help break down toxins that we get from plastic food containers and household cleaners. 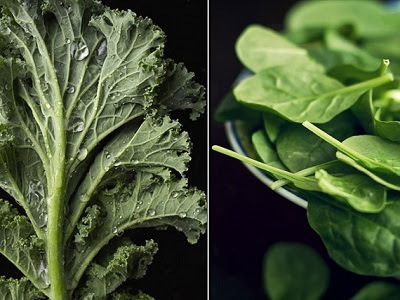 Noshing on these greens will give you increased energy, help you lose weight, and reduce your risk of reproductive problems such as PMS and fibroids.